Inspiration can run dry for a number of reasons, but it shouldn’t be from your daily workspace. 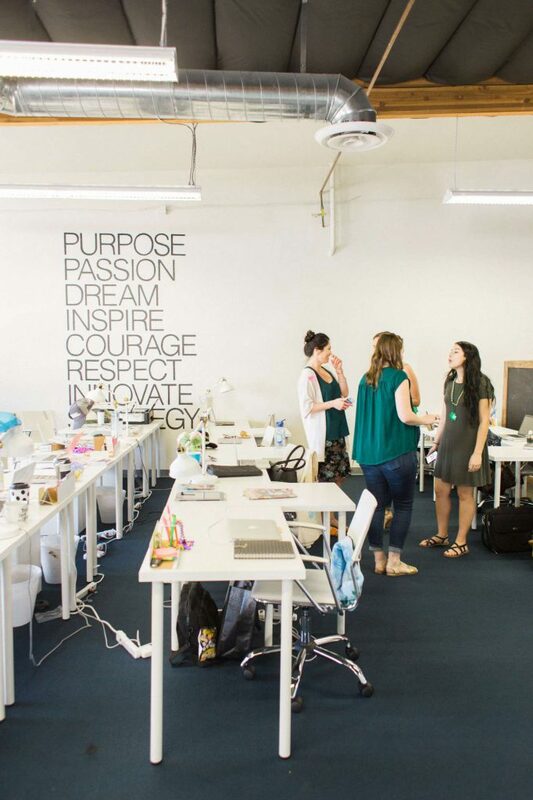 Creating company culture in the workplace isn’t just about adorning your walls with the company logo or painting everything in the same brand colors. It’s about crafting a unique, empowering environment that reflects your company and its team. 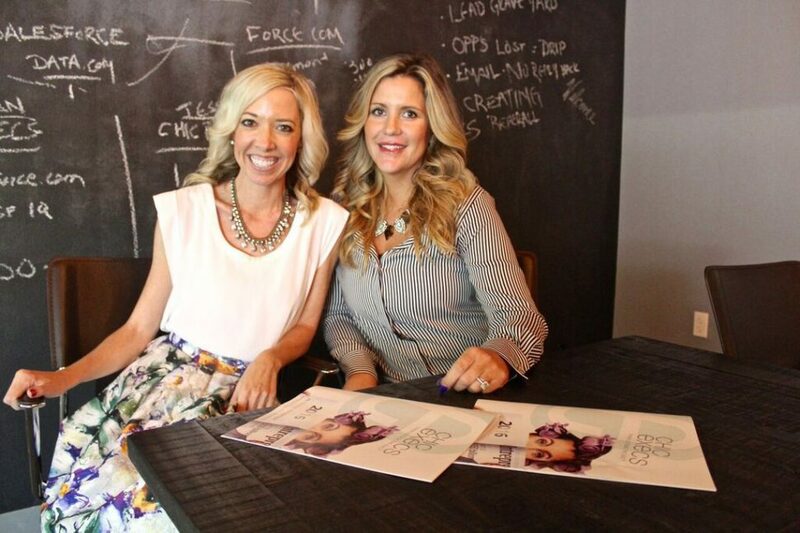 Here at ChicExecs, we’ve created a space that motivates, empowers and reflects the passions that our CEOs, Nikki and Kailyn, truly value. Take a peek at the different ways you can boost employee spirit while creating some serious office envy. 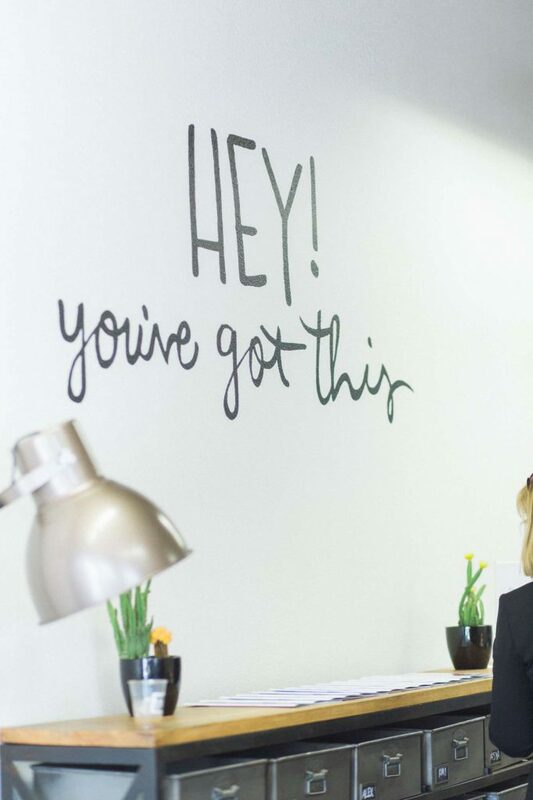 Give your office a motivation makeover with empowering messages displayed on the walls. 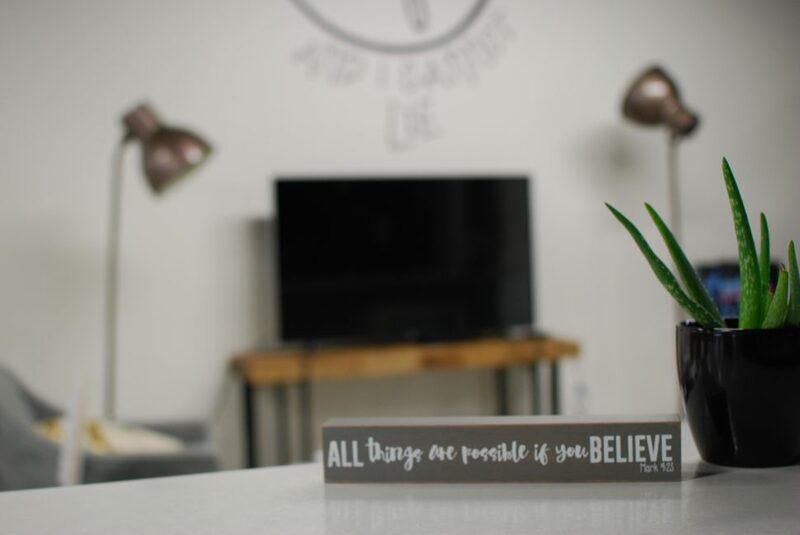 Inspiring surroundings can actually have a direct effect on their employees’ creativity, so whether it’s a tranquil setting, game area, or positive quotes – stir those creative juices. Being hangry never helps anything. 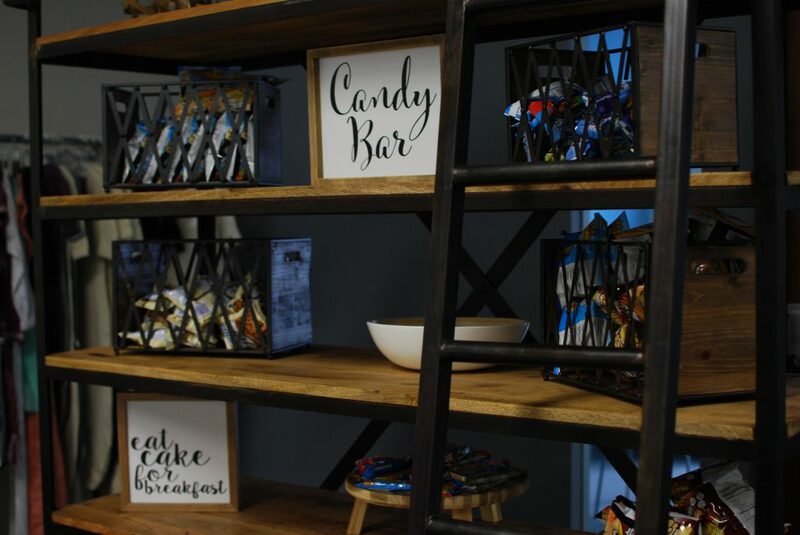 Not only does stocking your office with tasty snacks keep your employees happy – it will ensure they are always focused. Providing fun perks like free food boosts spirits and I mean come on, it’s food. Our latest obsession is our client Rise Buddy chips – they are the perfect crunch for that midday snack! Quick brainstorm? 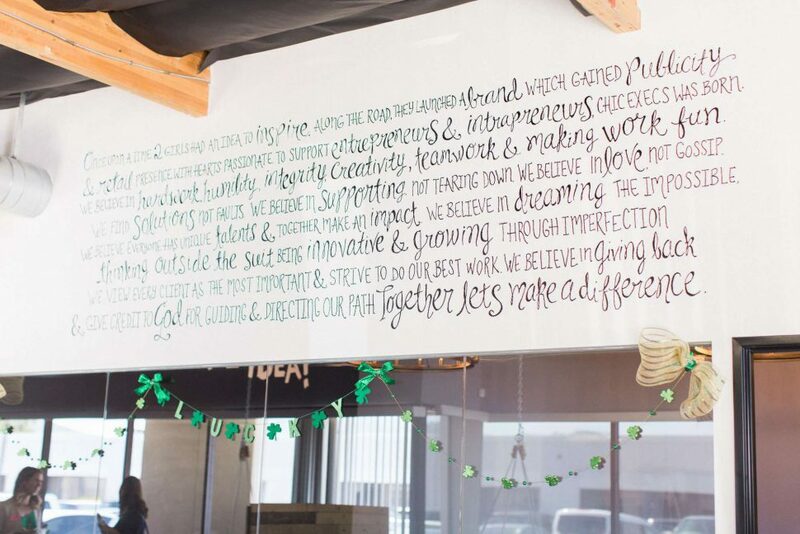 No need to furiously take notes on your laptop – just write on the walls. Although this satisfies a childhood dream, it’s actually a great benefit to have in any office. Keep organized in any meeting while scribbling away very important doodles. Who said you can’t have fun while working? In the PR world, taking time to actually watch the media features we land for our clients is crucial. With televisions set up around the office, we can huddle around our Pinterest-inspired viewing area and watch as client struts their stuff on The Today Show, or Good Morning America – and bonus: we can even record it for our social! 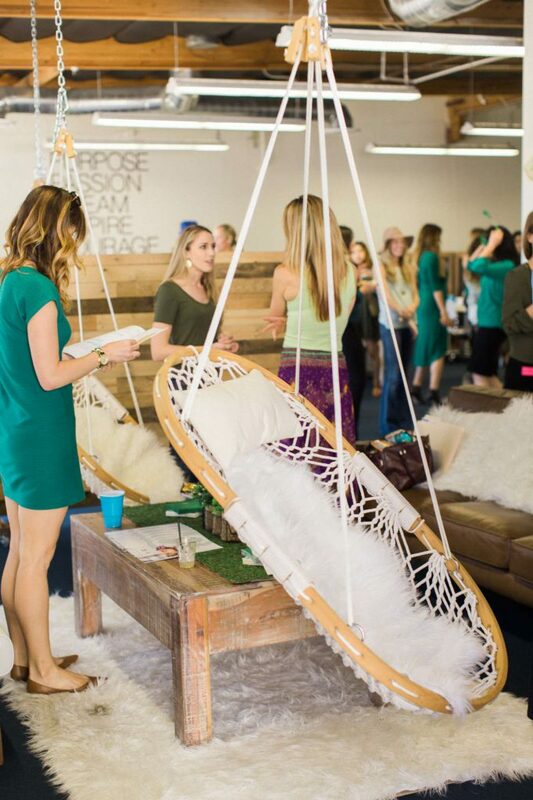 From stylish swings to rustically worn wood, set up your space to reflect the vibe of your office. 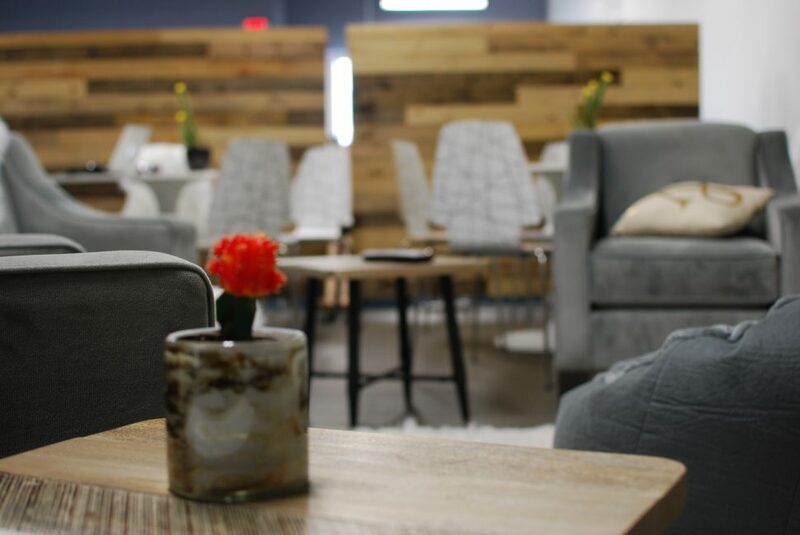 In PR, potential clients may be waiting in the front space of the office, and we often throw networking events, so having your working space on point is a must. 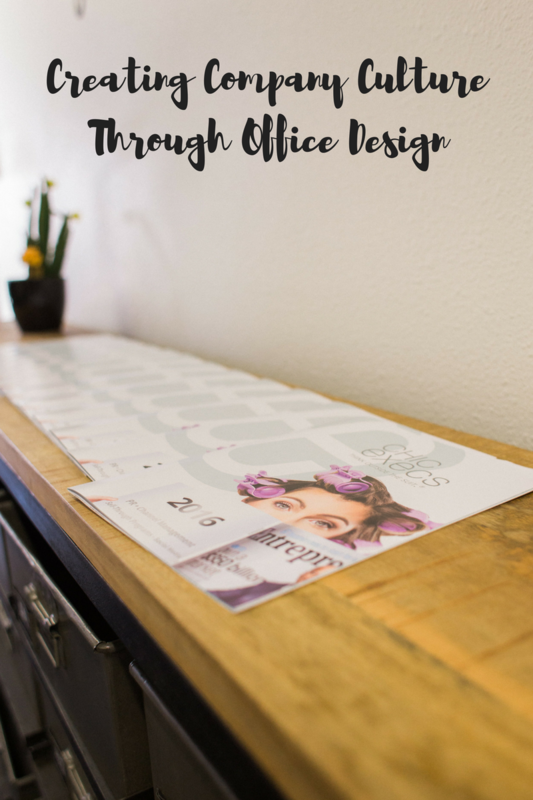 When it comes to your office space, there’s no such thing as “one size fits all.” Show off those vibrant vibes and your company’s personality by dressing up the decor in your workspace!